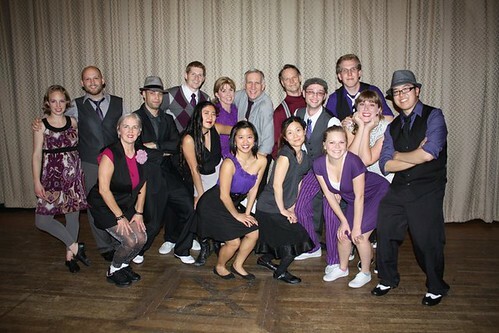 Jean and Bromley Palamountain are award-winning swing dance instructors, choreographers, and performers specializing in vernacular movement through the dance patterns of Lindy Hop, Balboa, and Charleston. 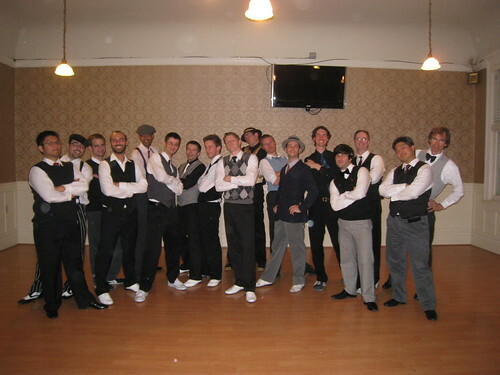 They teach group and private lessons locally in the Los Angeles area, nationally, and internationally and are also available to perform at weddings, corporate events, parties, etc. Please contact Jean and Bromley at info@jeanandbromley.com for private lessons, booking requests, and other inquiries. Check out www.youtube.com/jeanandbromley for their videos. For current dates or more information, check out oaklanddancersden.com. All tickets will be sold at the door. Cash only please. For current dates, check out oaklanddancersden.com. -Underground in the Pacific Renaissance Plaza: We do not validate for parking. The garage closes at 11:45pm even though their signs say midnight. So if you park there, please make sure to have your car out by 11:45pm. In the Plaza, take the elevator to the 2nd floor. OACC is the first suite on the left. -The closest BART station is 12th Street Station at Broadway in Oakland. Walk south on Broadway to 11th Street and turn left. Continue on 11th Street and turn right on Franklin to enter the Pacific Renaissance Plaza. For more info, send us an email at jeanandbromley@gmail.com. We offer private lessons in the Los Angeles Area! Private lessons are great for all levels of dancers, from newcomers to experienced Lindy Hoppers. Looking to impress your guests at your wedding or big event? 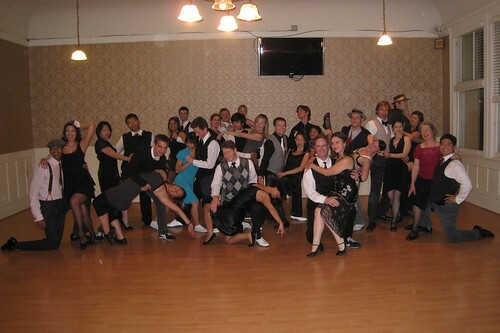 Lindy Hop is definitely the dance that will get people up on their feet and clapping their hands. To find out more, please visit our private lessons page or email us at info@jeanandbromley.com.